Features: Signed and inscribed by cast members, "To Stanley, All the best! [signed] Julie Adams (Lead Actress)". 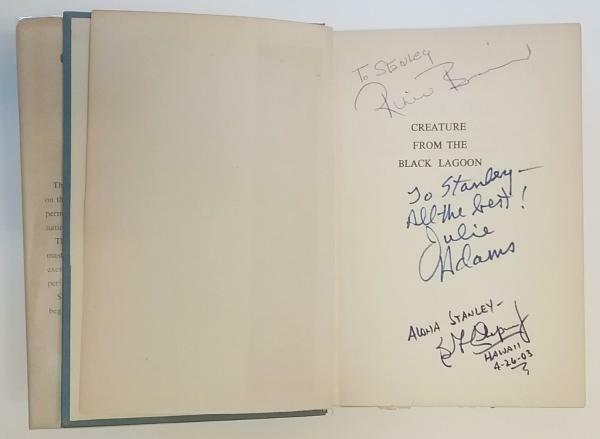 "To Stanley" (Signed) Ricou Browning who played the Gill man in the Water. "Aloha Stanley, Hawaii 4-26-03 (Signed) Ben Chapman who played the Gill Man on land. Not dated . No place [London]. Based on the 1954 film of the same name by Universal International Pictures. Original blue cloth, spine lettered gilt. 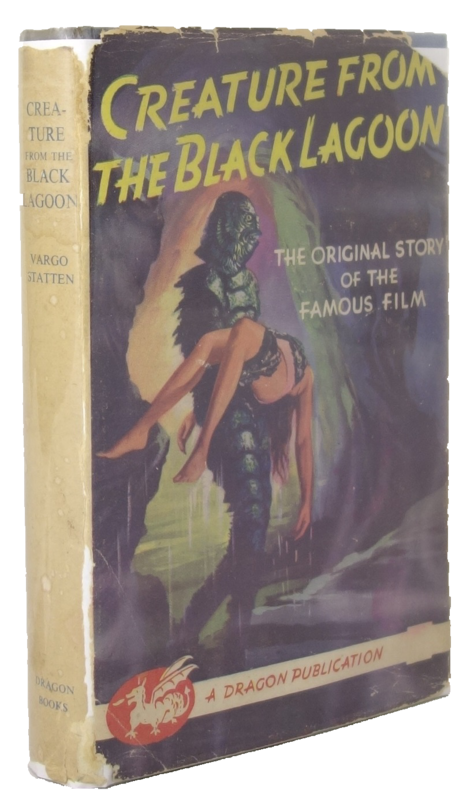 Original pictorial dust jacket. From the collection of Barry R. Levin, Science Fiction and Fantasy Literature. Book Condition: Near Fine: A firm square copy with very minor rubbing and minor sunning to the spine top and bottom edges. Moderate acidic offset toning to the endpapers. 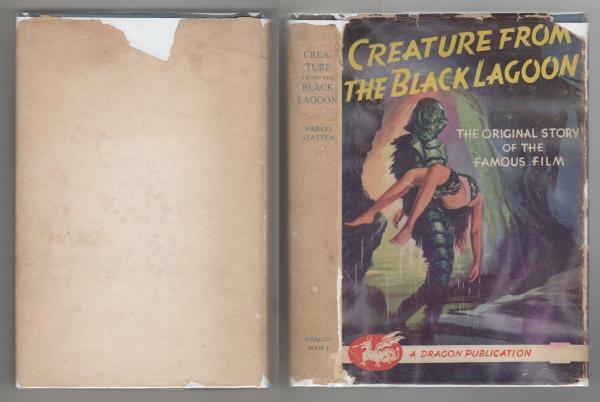 Dust Jacket Condition: Very Good: Sunning to the dust jacket, an inch-and-half chip to back cover, inch chip to corner, short chips to spine ends and other corners. Not price-clipped. Mylar cover.